마르세유, 프랑스의 아도니스 마르세유 비유-포흐트 | 호스텔월드에서 예약하세요. 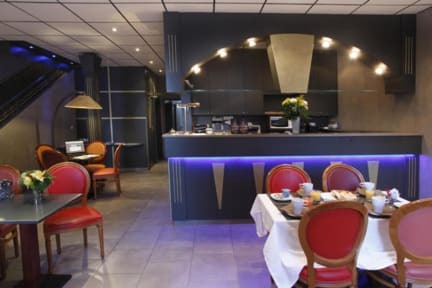 Located at 5-minute walking distance from the «Vieux Port » of Marseille, the Hotel du Palais is a privileged vacation retreat, offering a customized service in a quiet and friendly atmosphere. The hotel features original ambiance and decor, which will ensure you a peaceful, relaxing stay, and offers comfortable bedrooms. 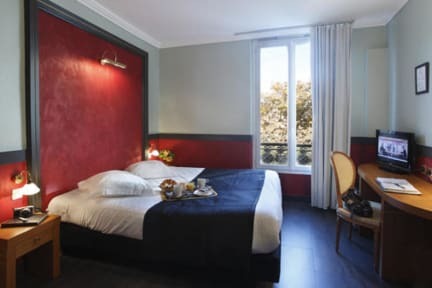 The Hotel du Palais, newly renovated, is located in the heart of the city of Marseille, two steps away from the «Vieux Port ». A charming hotel, ideally located, where you will find comfort and provencal decor. Our location is perfect for business or leisure, with shops and a public underground car park at 5 minutes away by foot. The hotel proposes 22 entirely renovated and fully equipped rooms with safety box, telephone and free Wifi Internet connection.